Mobility of students in developed countries has dramatically increased over the last fifty years. Students do not necessarily remain in their countries of origin for higher education and work; they might be born in one country, attend university in a second, and find employment in a third. In the book that we have edited, contributors from Europe, North America, and Australia examine evidence of the interrelationship between the mobility of students and graduates, especially researchers; investigate free-riding problems associated with mobility, including the provision and funding of public higher education; and address the effects of education policy on human capital accumulation and economic development, offering recommendations for well-designed policies in the presence of migration of talents. The first question of interest concerns the interrelation between migration of students and migration of the highly-skilled, in general, or to put is slightly differently: To what extent do countries that attract foreign students benefit from an increased stock of educated foreign workers? This question is addressed by Gabriel Felbermayr and Isabella Reczkowski with gravity models applied to two sets of international panel data: a new database on bilateral student mobility and a database on bilateral stocks of immigrants of age 25 or higher by educational attainment. The empirical exercise reveals large so called retention rates for Anglo-Saxon countries, but much lower rates for continental European countries. Do these results also apply to researchers and academics? Two additional analyses provide answers. For European students who obtained a PhD in economics in the US, it is shown by Linda van Bouwel and Reinhilde Veugelers that the evidence is in favor of “elite non-return migration”. If these graduates can stay at a top institution they are less likely to return, also later. This suggests that the quality of the working environment is of crucial importance and has important policy implications for the EU. A similar result is found by Elisabetta Marinelli, Ana Fernandez-Zubieta, and Susana Elena-Peréz, who analyze the effect of international job mobility on academic career success measured by obtaining an open-ended contract or a tenure-track position. Focusing on five European countries, it turns out that repeat migrants are the least likely to achieve a permanent position, unless they are more productive than their peers. Mobility of students and graduates has important implications for the fiscal sphere. As the acquisition and use of human capital occurs over a lifetime and is affected by migration decisions, the impact of fiscal policy on migration, and of migration on fiscal systems, should be assessed intertemporally. The dynamic framework used by David Wildasin offers significant new insights: for instance, those who gain in the “short run” from redistributive policies may be harmed in the “long run”, and conversely. When it comes to the more specific effect of mobility on education policy, the relations between all countries affected have to be considered, in particular, between the country of origin, which is important for pre-tertiary education, the host country for higher education, and the destination one for post-graduation career. In this context, a host country is not incentivized to finance and supply higher education in a socially efficient way when many foreign students return home after graduation. Avenues are explored by Marcel Gérard and Silke Uebelmesser for improving efficiency, like substituting the host country principle by the origin country one. This, however, does not resolve all the issues. Making the students financially responsible is the most straightforward approach but tuition fees can be both inefficient and unfair with liquidity constrained individuals. There are better instruments, in particular contingent loans or Bhagwati taxes. Nicholas Barr provides an extensive discussion of higher education financing through income-contingent loans. With mobile students, the implementation faces some obstacles, and the conflict between the large resources needed for higher education on the one hand, and the longer-term fiscal constraints on the other hand is aggravated. For Barr, who discusses in depth the objective of higher education in today’s world, higher education should be in any case free at the point of use. Elena del Rey and Maria Racionero add the political-economy perspective by modeling the choice between risk-sharing and risk-pooling income-contingent loans for higher education of risk-averse individuals. There are cases where risk-pooling is preferred – even when graduates are mobile or when students can opt out of the risk-pooling for a pure loan. Student mobility has further important consequences. Richard Murphy considers the effects of student immigration on the higher education sector in the UK:, the growing international demand for high quality degrees implies that recruiting more overseas students is the most effective way of increasing university revenues with positive effects on domestic and EU students who see their numbers raise. Alexander Haupt, Tim Krieger, and Thomas Lange focus on a further related aspect. How are the countries of origin affected by education policies of the host countries and how does increasing student immigration alter the education policy in the host country? A novel channel for a brain gain emerges. A higher probability that international students stay in the host country after graduation incentivizes that country to improve its education quality. That in turn raises the human capital of all students, including returning ones. As long as the permanent migration probability is not too large, this positive quality effect increases human capital and welfare in both countries. Skilled migrants can also have a direct positive impact on their host countries: immigration flows enrich the local knowledge base, thereby contributing to innovation and economic development. Using British data Luisa Gagliardi shows that high-skilled people are an option for innovation policy in addition to initiatives for strengthening local innovation systems. All in all, the book offers a rich picture and a unified treatment of the mobility of students and graduates and of its determinants and consequences. It paves the way for further research on how globalization affects human capital formation and its contributions to overall welfare. Marcel Gérard: University of Louvain, Belgium, email: marcel.gerard@uclouvain.be; Silke Uebelmesser: University of Jena, Germany, email: silke.uebelmesser@uni-jena.de. 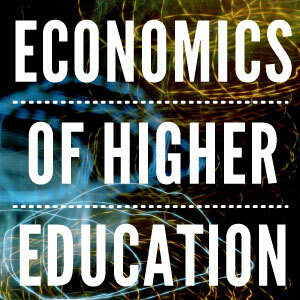 For more see Gérard, M.,https://economicsofhe.org/2014/10/20/talents-migration-and-the-financing-of-higher-education-paradigms-and-paradoxes-2 Talents’ Migration and the Financing of Higher Education, Paradigms and Paradoxes, Economics of Higher Education, October 20, 2014.